When looking into a particular artist’s signature sound, it’s highly likely that they may have used different equipment in the studio than they used live on stage. Some setups are just impractical for live sound, and could cause a nightmare with feedback, noise, or lost headroom when played out at maximum volume. This is certainly the case with Jimmy Page. He’s been highly secretive about his techniques, but there are extensive notes and theories about his studio and live gear rigs that have surfaced over the years. I’ll try to piece together what information is available, and what I can confirm through my own personal experience in the studio and on stage. The early Zep recordings are my personal favorites. Songs like “Dazed and Confused”, “Whole Lotta Love,” “Communication Breakdown,” and “Bring It On Home” feature that extra-biting lead guitar honk that probably is his most notably signature tone. At this time, Jimmy’s main guitar was a 1959 Fender Telecaster, which is a rather bright sounding guitar with lots of attack. The single coil pickups are low to medium output, and susceptible to excessive hum at high gain compared to hum bucker pickups that came out later. These were relatively cheap guitars: bolt on neck, flat body, and a bridge that looks like it was fashioned out of an ashtray. 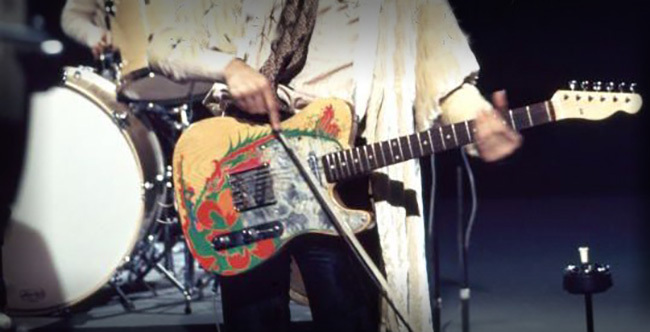 But as Jimmy would say, “It’s more of a fight with the Telecaster, but there are rewards.” This famous Tele’ also sported a psychedelic dragon painted on the front, which can be seen in some of his early TV appearances. To thicken up the tone, he may have used a touch of a 2 knob Sola Sound Tonebender MKII fuzz pedal, which can be spotted in some of his early performances with Led Zeppelin. When trying to hunt down an original of this guitar effects pedal, the its history gets a little confusing. The same circuit design was used for several different brands, and the same brand would even change the circuit design inside the pedal without changing the name. Thus, you really have to look inside to see what you have, when buying a vintage one. The beauty of this pedal, however, is its simplicity. These pedals were soldered point-to-point, and used very few parts. The key component in these pedals are the now-discontinued vintage germanium transistors. These parts will often vary in quality, so some testing is required to select the right ones that will work best together. The most sought after transistor for the MKII is the Mullard OC81D, with a touch more dynamics than standard OC75. The ideal transistor choice is one that will go from clean to dirty just by strumming softer or harder, or rolling forward the volume knob on your guitar. This allows another dimension to your playing that cannot be replicated with silicon transistors. The germanium also gives a pleasing, more organic tone to the fuzz effect, than the modern silicon variety. The original Supro amp circuit used a tube rectifier which gives a bit of “sag” to the tone. This is like another subtle volume envelope that responds to your picking attack and volume. The result is more texture to the lead tone, and feels more organic. Tube rectifiers are sometimes preferred by lead guitarists (Angus Young’s JTM-45 for example), but solid state rectifiers (such as the 100W Marshalls) are often used by rhythm because of the tighter bottom end for chunky riffs at high volume. Anyone who has seen Zeppelin’s live film, The Song Remains The Same, will remember the point where Page is slapping his guitar dramatically with his violin bow and then pointing outwards – in time with the delay. Jimmy Page started playing his guitar with a violin bow while he was still in the Yardbirds. He later switched to his famous Gibson Les Paul. The 9.5″ neck radius gave just barely enough arc to allow the bow to contact a portion of the strings at a time. However, if you want to experiment with this technique, remember that the particles of resin that coat the hairs of the violin bow will collect around the area where the bow touches the strings. It’ll come off, but it’s quite sticky and requires a cleaner that won’t damage your guitar’s finish. 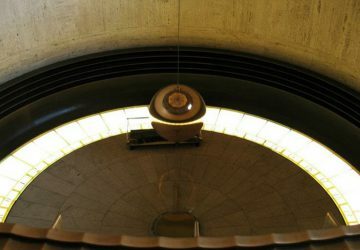 The echo effect for this sound was a Maestro Echoplex tape delay. It’s a primitive delay that uses a magnetic cassette tape loop to record and then play back the signal. These eventually stretch out and need to be replaced, which can make it difficult to restore nowadays. However, the effect is very organic, and even has a little bit of a natural warble. The high frequencies are also rounded off each time it delays, so you can make out the dry guitar signal better in the mix. The other two ingredients for this far out effect were a Vox Cry Baby wah-wah pedal, and a phaser (possibly an MXR Phase 90) for a little extra modulation. Led Zeppelin live was quite a different beast. The most well known video clips (probably The Song Remains the Same and Royal Albert Hall, 1970 DVDs) show Jimmy Page playing his sunburst Gibson Les Paul through a late 60’s-early 70’s 100W Marshall Plexi. His 4×12 speaker cabinets were said to be filled with Celestion G12H speakers. His live amps were most likely modified. The most commonly cited mod is his switch to larger KT88 tubes in his Marshall for more headroom/volume. He was also known to later use custom Hiwatt amps. His on-stage rig likely included a MKII Tonebender effect pedal (although having too many layers of distortion can start to sound muddy at high volume.) He may have instead used a germanium treble booster, or just plugged directly into the amp. 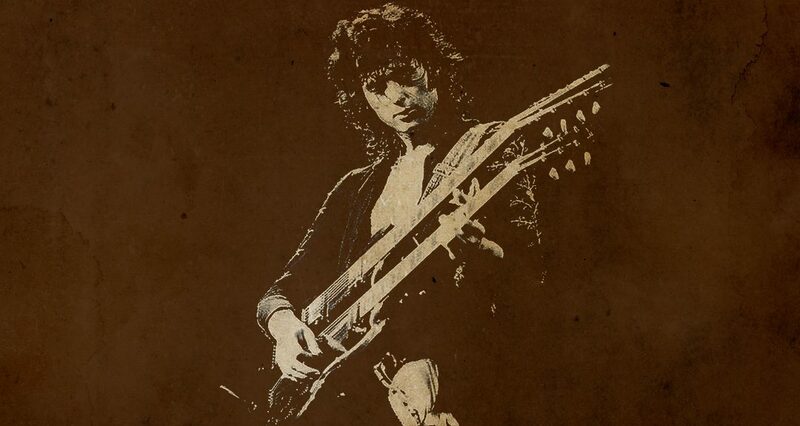 However, the most subtle secret to Jimmy Page’s live stage sound was in his guitar. Keep in mind that Page was the only guitarist in the band, and they had a wide spectrum of guitar sounds from song to song. Enter: “the Jimmy Page mod”. This was a simple but ingenious mod on his guitar that split the double coil humbuckers on his Gibson Les Paul so that they could be switched to single coil (twangy Telecaster-sounding), hum bucker (full low-end Les Paul tone), single/parallel, and in or out of phase (super-twang). Thus, his single guitar could recreate the basic tones of several models of guitars — even while in the middle of a song. This may be done with either small switches (one was said to be hidden under Jimmy’s pick guard) or replacing the volume and tone knobs with push-pull pots. These allowed all configurations to be easily switched on, even while in mid-solo on stage. Unless you have a stadium-sized budget (over $10k to start) to buy the vintage pieces of the same gear that Page used, your best bet is probably DIY kits and a little elbow grease. If you can play “Stairway to Heaven” on your guitar, then its likely that, with a little practice, you can learn to use a soldering iron while following some simple directions. The best DIY project to start with are effects pedals. They’re cheap and relatively safe. I highly recommend Build Your Own Clone kits. They make an MKII Tonebender clone that will get you very close to Page’s fuzz box. Next, if you have a two-humbucker guitar – like a Gibson Les Paul or SG – try this Jimmy Page mod. The push-pull pots can be purchased at most online guitar tech shops. You’ll need “split coil” humbuckers with separate leads for each coil. It will also require you to gut your guitar, so I wouldn’t try this on your original ‘59 Les Paul. It also takes some finesse to get in there without damaging the finish or woodwork, so do so at your own risk. You can also do this with DPDT toggle switches if you have a guitar with a plastic strat-style pick guard. Finally, if you are insanely obsessed with your guitar tone and want to go next-level, you could even build your very own 100-Watt Marshall Plexi clone with one of the DIY projects that exist on the internet. You can follow the specs to sound very close to the originals—even more so than the new Marshall Plexi PCB-board “reissues”. Weber Speakers even makes some great retro speaker replicas, and Mojotone make excellent head & speaker cabinets. Plus, there is nothing in the world like the feeling of playing a homemade amp, knowing that you built the thing from scratch. More recently, Watts Tube Audio offers a full DIY kit of the Supro amp as well. NOTE: Mucking around with tube amps can be dangerous. Do plenty of research before you try building or repairing one of these on your own. The voltages inside these tube amps reach into the lethal range (400+ volts in some cases.) They require an enormous level of concentration and focus. But then again… who said the perfect guitar tone was safe?